Refer your friend to the referral info page. Establish whether they’re enquiring via the website or by phone. Ensure they use your Original Travel email address and/or username when placing their travel enquiry. Find out your referring friend’s email address and/or username for Original Travel. Include this information when placing your travel enquiry via phone or the online form. 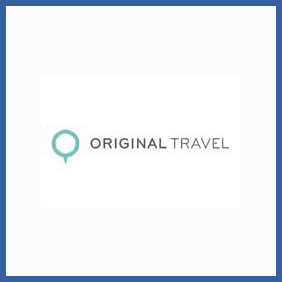 You’ll both unlock a £100 discount towards your next holiday with Original Travel. Ever booked a holiday with bespoke travel experts Original Travel? You could bag £100 off your next trip by referring a friend as a new customer. If they sign up they’ll get the same off their first trip too.